Program registration for summer 2019 is now open!! The Haven Acres registration process is changing this year! This is how it will work… Parents will no longer need to call in to reserve a spot for their child (ren) on a specified date and time. In order to give everyone equal opportunity, please register your child (ren) through the application below. In order to qualify, registrants must be ages 9-17 by June 3, 2019. Applications must be received by 11:59pm on April 1, 2019. The following day, we will randomly draw names (keeping families together) to determine which kids will be awarded the 40 available spots in the mentorship program. We will accept an additional 8 participants into the Deaf program. Calling in or registering earlier will not increase your odds of your child being in the program—as long as the applications are received by April 1st then your child will have the same opportunity as everyone else. Please remember that all applicants must register each year. This year sessions will begin June 3rd! They will run until August 30th, with two week-long breaks, one June 17-21 and one July 22-26. If you have any questions, please don’t hesitate to contact us at info@havenacresmn.org and we would love to answer any questions you have! A wait list will also be generated for participants that were not drawn on April 2nd or who registered later than April 1st. 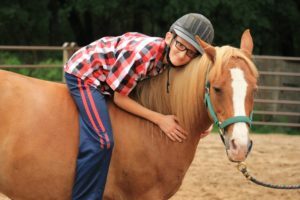 Every effort is made to allow kids on the wait list to come to the ranch when there are cancellations in the regular programming schedule. However, a new application must be on file for participants each year, both for the Weekly Program Participants and the Wait List Participants. The Fall Sessions Program is much smaller, usually runs for 6 weeks after school starts and is offered by invitation only. Staff will determine those who are invited to participate in fall sessions and will notify parent’s toward the end of summer. 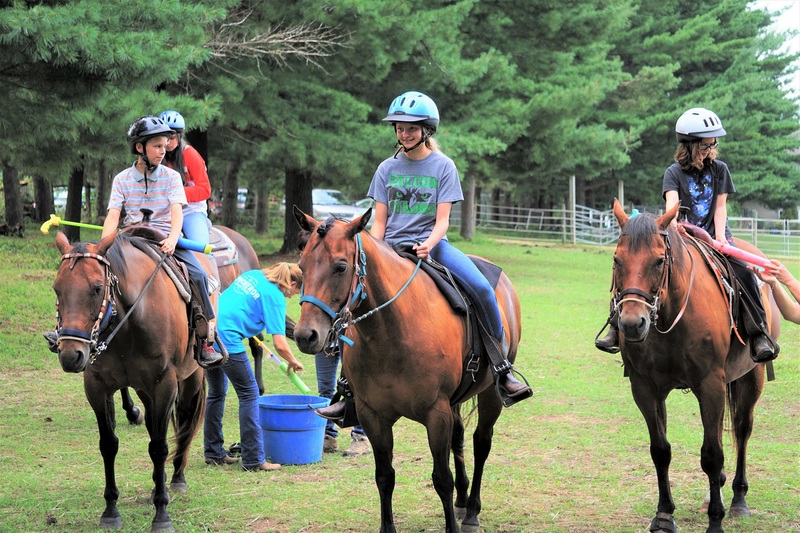 In September, Haven Acres hosts our annual Round-Up, a special celebration for all participants to invite friends and family to see what they’ve learned. This year the Round-Up will be on August 7th. It includes fun, food, and fellowship for the whole family. Look for more information to come out about that this summer! For more detailed information about Haven Acres programming and the policies and procedures, please consult our Participant Handbook.